Arrival and departure day for a full weeks holiday is either Friday or Saturday - the start day will be clearly shown by a symbol in the description. Please note that where the start date of the holiday or short break is not a on a Friday or Saturday, the price will usually fall into the following week's price band. Short breaks, where applicable, can start on any day of the week. Properties are generally available by 4 p.m. but please check the details of the specific property before booking. You will receive full details of arrival time, directions and key arrangements after you have paid the balance of the hire charge. Please do not arrive early, unless previously arranged, as time is needed to thoroughly clean the property between lets. We also ask that you vacate the property by 10 a.m. on departure day for the same reason. We do not provide baby equipment at the majority of our properties. Availability is shown in the description and these are usually free of charge, but we ask that you bring your own bedding. Cots are only available to children two years or under. Please let us know if a cot, highchair, baby carrier or all terrain push chair is required in a property. We do have some available to hire from the office for a daily/weekly charge, however, these are limited so you would need to check with us regarding availability. Private parking is usually available at the property or there may be on-street parking nearby. Some properties which do not have private parking may require a permit to be displayed to park in the appropriate area - these can be found inside the property. For specific parking instructions, please see the details on the description or your confirmation, or give us a call for further details. If you require more information please contact us for further details. We offer short breaks at certain times of the year and these can be booked for 3,4,5 or 6 nights and can start on any day of the week. Some short break bookings can be made in advance, dependent upon what time of year the holiday dates fall within. Holiday dates which fall within peak times cannot be booked far in advance. Should there still be availability within 21 days of requested arrival, during peak times, then at this stage short break bookings can be made. Price bands for each property are shown the individual property description. The prices show the basic cost of the holiday. Individual cottages may have extra charges, e.g. linen, heating, etc. details of which will be shown clearly in the property description. For information about cancellation, please see the section on Cancellation for more details. Electricity and heating are included in the rental cost. In all of our properties bed linen and towels are provided free of charge unless otherwise stated in the property description. In all cases you should bring your own cot linen including duvets and blankets. Where towels are provided, this will not include beach or swimming towels. If you are staying in a property for more than one week linen can be changed weekly upon request. Many of our properties will accept pets and these will be displayed with a symbol in our brochure or on the individual property page on our website. More details are given in the property description. Bookings that include pets are taken on the understanding that all flea and worming treatments are up to date. Please remember that they should not be left unattended in properties and that pets must remain downstairs and off furniture at all times. You, as pet owner, will be responsible for removing any evidence left by your pet and reimbursing the owner for any damage caused. For most properties a charge of £20 per pet per week or per pet per short break will be made. We do not accept additional people at our properties, above the advertised occupancy. All our cottages are cleaned thoroughly between holidays. We would ask that you leave the property and its contents clean and tidy (See Booking Conditions 11). We cannot accept a change of holiday property once we have received your payment. We may be able to change your holiday week providing you advise us not less than 6 weeks prior to your original holiday start date. This is not always possible, although if we are able to rearrange this for you, a charge of £60 will be made to cover administration costs. No change of dates is operative until the administration fee is paid and written confirmation is sent to you. At Good Life Lake District Cottages, we do everything possible to ensure you have an enjoyable stay. However if you are unhappy with any aspect of the service you have received from our staff and the manner in which it has been handled, please inform us immediately. On arrival or during your holiday and in the unlikely event that you feel you have a cause for complaint then you should contact us immediately at the office or on the out-of-hours contact number which will have been provided to you within your booking confirmation details. 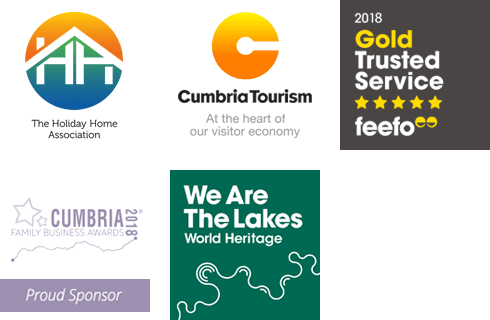 Although properties are managed on behalf of their owner/s by Good Life Lake District Cottages, ultimately, the contract for your accommodation is between you and the owner and certain complaints may be referred to them for a decision. Complaints not reported at the time cannot be entertained subsequently and it is regretted that no correspondence can be entered into in the case of complaints made after you return home when it will be appreciated that it is quite impossible for them to be effectively investigated. Our contact details are given on your confirmation letter and travel details and, generally, will be in the cottage too. We will do all we can to rectify any matter which may be brought to our attention during your stay – if we are unable to do this and in our opinion your complaint is justified, we will try to find alternative accommodation for you. This may involve an increase or decrease to your holiday cost, depending on the price category of the alternative property. It may not be possible to re-locate you in high season. In such cases, where you do not stay in your booked property, we will arrange a full reimbursement of the cost of your holiday or part thereof. Our liability and that of the homeowner is limited to the price you paid, except in the case of legal liability for personal damage or injury, for which purpose public liability insurance is carried by the homeowner. If you, or a member of your party, has any requirements which may mean some of our properties are not suitable for your holiday, please speak to our team prior to booking. Our team know the properties very well and will be able to advise you on which properties best match your requirements. If the owner or Good Life Lake District Cottages reasonably feels unable to properly meet your particular needs, we can refuse or cancel the reservation. All of our properties are Visit England graded, and these are shown with a star rating award in the property description. Each property graded under the Scheme must meet an extensive list of minimum requirements and then levels of quality and presentation determine the final rating. Quite simply, the more stars, the higher the overall level of quality, facilities and service you can expect to find. In order to meet our customers’ requirements, we only include properties that have been awarded a three star or above rating. Three Star - Good to very good level of quality. Good standard of maintenance and decoration, with ample space and good quality furniture. All double beds with access from both sides. Generally bed linen is included or available for hire. Four Star – Very Good to Excellent overall level of quality. Very good care and attention to detail will be obvious throughout. Access to washing machine provided, but if not provided in the unit, there will be access to a laundry facility. Bed linen provided and towels included or for hire. Five Star – Excellent to Exceptional overall level of quality. High levels of decor, fixtures and fittings, together with excellent standards of management efficiency and guest services. Excellent range of accessories and personal touches. Bed linen and towels provided free of charge. Gold Award – The Gold Award is awarded to properties which achieve some of the highest percentages in their star ratings. These properties reflect a higher level of quality, comfort and cleanliness throughout. Many of our properties are older cottages dating back to the 19th century or earlier. It is important to remember before booking your holiday that part of the charm of such properties are the characteristically low ceilings, doorways and beams. They often have steep and narrow stairs and because of low or sloping ceilings, may have limited clothes hanging facilities. Many were also built before the introduction of damp proof courses and cavity insulation. These points are particularly important to note if your party has any elderly or very young members. Thatched roofs and beams can attract spiders, and cobwebs reappear very quickly after being removed. We feel that these are aspects of the properties which add character and charm and would not hesitate to recommend them to you given the aforementioned features are understood. This information supersedes previous issues.